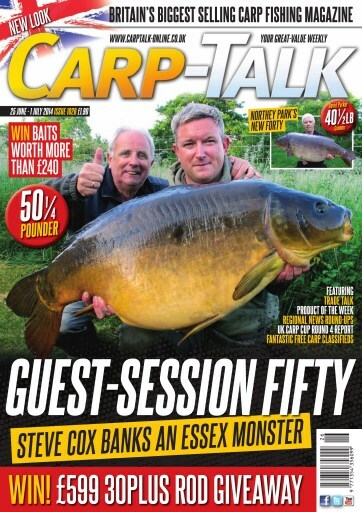 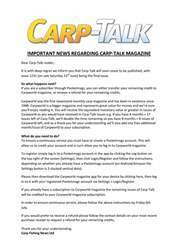 This week’s issue of Carp-Talk (issue 1026) is available to download now. 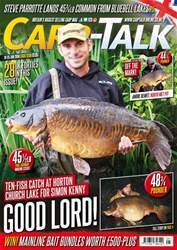 With the UK Carp Cup semi-finals looming large we look at the results of the forth and final round of qualifiers, Team Korda look at protecting your hook points for the ultimate presentation, and Lewis Russell offers important advice to help maximise your chances when on limited time. 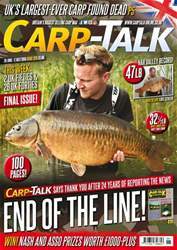 In our product news section we take a close look at the impressive new Shimano Baitrunner as well as products from Dynamite Baits, Gardner Tackle, Sticky, and Wychwood. 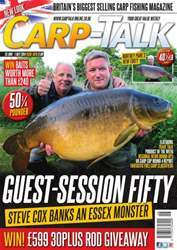 The Fox-Mainline Carp Angler of the Year competition continues, and we have two great competitions offering you the chance to win £240-worth of the latest boilies and two sets of rods worth £599.